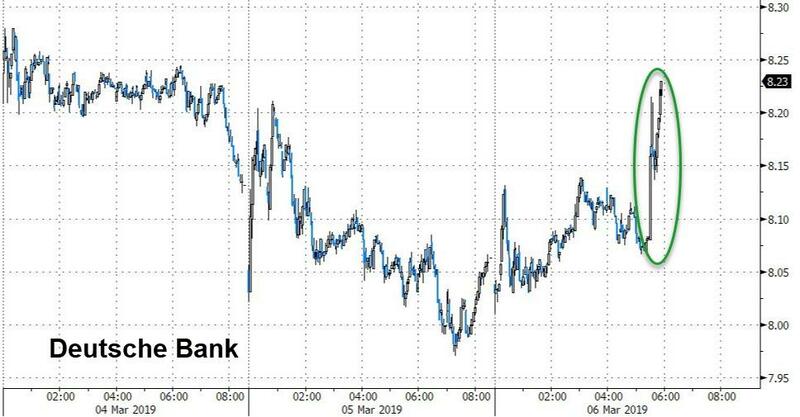 Amid further resignations and increasingly loud calls for some kind of merger/nationalization of Germany's anchor bank, the news for Deutsche Bank just keeps getting worse. Bloomberg reports that Deutsche estimates that its equities trading unit lost about $750 million last year, according to people with knowledge of the matter. As the Wall Street Journal reported on Tuesday, citing “internal calculations", the bank at one point considered closing its entire equities operation, which understandable since the U.S. equities unit reportedly hasn’t turned a profit for many years. Furthermore, Deutsche Bank’s equities unit, headed by Peter Selman, recently saw two further senior departures, as the writing on the wall started to emerge. 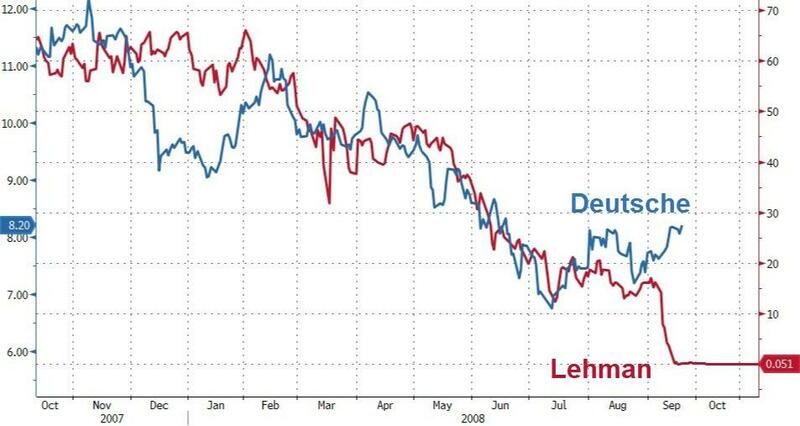 Ironically, or perhaps not, DB shares are flying higher after this report - is bad news, good news since it accelerates the bailout? Deutsche Bank Chief Executive Officer Christian Sewing has privately said that he may need to rethink his current turnaround plan if he concludes that it’s insufficient, and Bloomberg reports that several large Deutsche Bank investors at the time asked for tougher cuts to the U.S. operations.